The ultimate guide to Zillertal Superski ski holidays in 2019 & 2020. With almost 500 km of piste, Austria’s only year round glacier, and enough activities to entertain everyone, a holiday in the Zillertal Superski Area makes perfect sense. From the traditional and intimate village of Frinkenberg to the vibrant party town of Mayrhofen, there will be the perfect holiday for you in the area, regardless of what you’re looking for. Variety is the name of the game when looking into a holiday in the Zillertal Superski this winter. 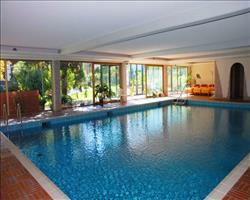 With 5 separate ski areas comprising of numerous resorts, there literally is something for each and every level. The skiing statistics speak for themselves; 515km of pistes are accessed by the 179 ski lifts. The resorts are all located along a 45km channel in the Zillertal valley, running from Fugen at the start of the valley all the way to the Hintertux glacier at its head. 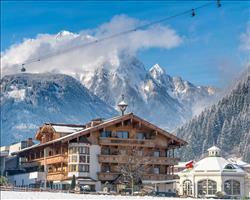 The most well-known resort in the region is Mayrhofen. With a reputation for great nightlife it’s a favourite amongst the snowboarding crowd- it’s also home to the Vans Penken Park, one of the best snowparks in Europe. Hosted here annually, the ‘Snowbombing’ festival attracts crowds of thousands and is often considered to be Europe’s premier slope side festival. The Hintertux glacier at the end of the valley hits 3250m, and is the only year round skiable area in Austria- a significant reason behind the ‘Zillertaler Snow Guarantee’ that is granted when you buy a ski pass for the area. Zell am Ziller is right in the middle of the ski area, and probably has the most convenient access to the greatest variety of terrain. The Zillertal Arena is skiable straight from the resort, and the 140km of pistes can be a trip’s worth of skiing in their own right. HochZillertal-Hochfügen and Spieljochbalm are smaller resorts, though with direct access to a brilliant range of skiing, and Finkenberg is the smallest and quietest resort in the region. Great for those who want to hit the slopes hard every day and families with younger children, you can take advantage of all of the regions great terrain whilst staying in a more peaceful setting. The neck of the valley is just over an hour and a half from Salzburg airport, and only marginally further from Munich; Innsbruck is closer still, and with regular flights from the UK, you can be on the slopes in no time. 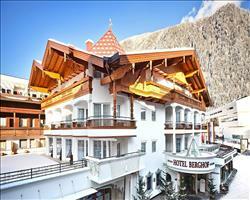 The regions headline act is undoubtedly Mayrhofen, and when visiting it’s often hard to drag yourself away. The Penken Park is one of the most well known in Europe; it takes up an entire face of the Penken mountain with its 8 areas catering for everyone from children and novices to professional riders. It also regularly hosts professional competitions which are definitely worth a watch if you’re in the area. The resort is home to the fearsome Harikiri, which is the steepest groomed slope in Austria with an average gradient of 78%. Whilst not for the fainthearted, it is definitely achievable- a great goal for the end of the week even for intermediates. The Spieljochbalm is the first resort you’ll come across when you enter the valley. The modest selection of slopes are best suited to intermediates, with some great long runs into the valley, though there are two small drag lifts right at the base which are great for nervous beginners. HochZillertal-Hochfügen is a great resort for advanced intermediates. There’s a fantastic selection of red and black runs on offer, including an epic run into the valley. The ungroomed piste routes are the perfect building block for those looking to develop their skills in a controlled environment before moving away from the slopes. The Zillertal arena offers a great mix of segregated terrain- it’ll be the perfect staging post for families, or groups of intermediate skiers. It’s easy to chart your progression as you make your way across the mountain, and there are some great unique features such as ‘White Carpet’- a few runs are groomed every day at lunch, so you can make fresh tracks late into the afternoon. The Hintertux Glacier (formerly part of the Zillertal 3000 area) has skiable snow all year long, making it a super option late in the season or where conditions are touch and go on lower slopes. We haven’t given much mention to beginner terrain, but that’s not to say the offerings here aren’t amazing with top notch kindergartens and some lovely, cruisey runs on Mayrhofen’s Ahorn mountain. When picking a resort to be your base in the Zillertal Superski area, serious consideration should be paid to how you want to unwind after a day on the slopes. Whilst the same terrain is easily accessible from all the resorts in the area, your location is much more crucial when you’re off the snow. Those staying in Finkenberg will be able to enjoy a week well away from the bright lights of city living. There are some great family friendly activities- the nearby Playarena will keep the kids entertained for hours- and the secluded location makes it perfect for those who are planning on getting fresh tracks every morning. Zell am Ziller offers great variety for groups-there’s ample opportunity to get your après session off to an early start on the mountain itself. There are some great bars that you can ski straight into from the slopes- a cold beer on the Kocher Alms’ sun terrace is often the perfect way to cap off a great blue bird day. If you’re planning on partying as hard, if not harder, than you ski all week, you won’t need to look any further than Mayrhofen. With some of the best nightlife in Europe, we’re sure you’ll have a great time- though we can’t promise you won’t have any regrets the next day! Scotland Yard is an English themed bar where you’ll feel right at home, and if you feel so inclined, you can dance the night way on the tables with a polar bear in the Ice Bar! There are restaurants serving food to suit every palate- from traditional a la carte Austrian feasts to the more tourist (and budget) friendly pizzas and burgers. Even off the pistes AND out of the bars, there’s more than enough fun to go around in the region. You’ll find indoor and outdoor ice skating rinks (Finkenberg’s natural one even has a few curling lanes), as well as leisure centres (Mayrhofen’s Erlebnisbad has pools, saunas and massage facilities). When is the best time to ski Zillertal Superski? There’s so much terrain on offer- 75% of it covered by artificial snowmaking- that there’s great skiing to be found year round in the Zillertal Superski Area. The Hintertux glacier is also open throughout the year; there’s actually a snow guarantee with the ski pass, so you’ll be able to sleep well at night whenever you’re travelling. Although the most well known areas- Mayrhofen particularly- can get booked up early and end up busy during peak times, there’s usually some spare rooms available in one of the smaller resorts. You’ll always be able to find a quiet slope to practice your snowplough on- everyone tends to spread out when they’re up on the slopes, just take care to you avoid the main routes down to resort level at the end of the day. There are great restaurants with sun terraces littered all over the mountain, so if the snow’s ever not up to scratch, the weather gets a bit inclement and you fancy a rest, or just want to work on your tan you’ll be spoilt for choice. 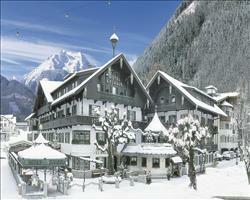 Spend Christmas in the Zillertal Superski Area and you’ll have memories to last a life time. There’ll be festive markets, fairy lights, and the big man himself may even turn up… just watch out for the Krampus! 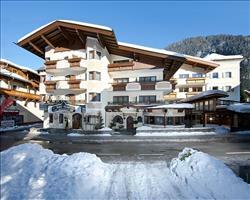 Party the night away and spend New Year in the Zillertal Superski Area. 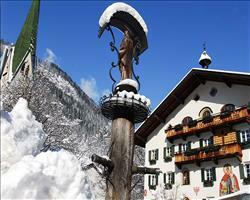 Ski all day then dance the night away in Mayrhofen, or watch the torchlight descent with a glühwein in Finkenberg. NYE gets off to a flying start on the slopes in Zell am Ziller, and the après bars at the foot of the mountain are buzzing all night. Feb Half Term in the Zillertal Superski Area will see Mum and Dad have just as much fun as the kids. After you’ve skied all day, you’ve got five different resorts to explore in the evenings- if the parents have enough energy left of course! There will be no danger of you missing the snow this Easter in the Zillertal Superski Area. Top up your tan cruising the lower slopes in the morning, then head up Austria’s only year round glacier in the afternoon if things start looking slushy. Zillertal Superski Area is a brilliant base for the family ski holiday this year; there’s heaps of exploring to be done both on and off the slopes. There are some fantastic areas in the region to take the kids if they’re just learning to ski- the skiing at Fugen and Ahorn is great for beginners- kids and parents alike. Those who have already taken to the pistes will find plenty of challenging terrain throughout the week and the red Talabfahrt run down to the village is one of the longest and most scenic in the resort, though can get crowded at the end of the day. There are some breath-taking views and good food to be had at the Freiraum at the peak of Ahorn if anyone needs a rest- a quick coffee, Irish or otherwise, can be a godsend on a cloudy day. If you’re likely to split up on the slopes, head to the Zillertel Arena. There’s a great selection of pistes for all abilities, and there are plenty of lifts and on slope restaurants that make good meeting points. For more adventurous and proficient families there’s the challenge of the adventure mountain Penken and a trip to the Hintertux Glacier. With both laying claim to some incredible steep terrain and well maintained snowparks, there’ll be plenty of opportunity to show off your new found skills. The whole family are well catered for off the piste as well. There are ice rinks (indoor and outdoor) in Finkenberg, Tux, Mayrhofen and Zell, and the well-equipped leisure centre in Mayrhofen will help you relax after a day on the slopes. Tux also boasts the highest natural hot springs in Austria, and at the nearby Playarena the kids can have fun on the climbing wall and bouncy castle whilst you luxuriate in the soothing springs. Many of our hotels can arrange childcare facilities if you’re travelling with tots that aren’t going to spend the whole week on the slopes- though many of the regions ski schools cater for children as young as 3. If you don’t fancy the excess charges that can be accrued when travelling with the whole family, then look into our self-drive packages. As well as saving yourself a few pennies and a lot of hassle at the airport, having a car in resort makes exploring the whole area a more stress free process. Choose a package that includes flights and transfers if you would prefer all of the logistics to be taken care of for you- the ski area’s only a few hours from Salzburg so you can be on the slopes in no time. However big a group you’re travelling with this winter, after a stay in the Zillertal Superski Area everyone will be desperate to come back next year. 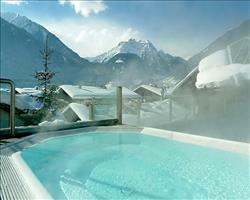 Party animals will be in heaven staying in Mayrhofen, where you’ll find some of the best après ski in Europe. Stay in the Hotel Berghof and you’ll have the resorts nightlife just a short walk away- luckily, the lifts aren’t much further if you end up overdoing it in the evening. Groups that like to mix it up in the evenings will find a great communal atmosphere in one of our catered chalets. Mayrhofen’s Chalet St. Lukas has room for the whole group, and you’ll spend many a happy hour by the fire whilst your evening feast is prepared- the bars on the main street are just a ten minute walk away if you fancy heading out after. 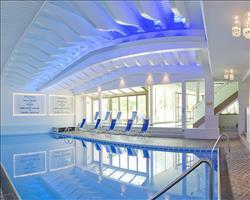 If you’re going to be hitting the first chair every day, then a stay at one our hotels in Finkenberg will be perfect. The Hotel Eberl is just a five minute walk from the lifts, and the quiet surroundings will leave you well rested before your day on the slopes. 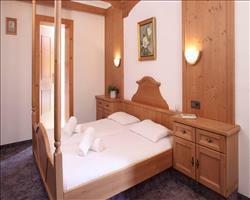 Groups of mixed abilities or with smaller children will love Zell am Ziller. The Hotel Bräu has a great central location and the ski bus stops just outside, so you’re never more than a quick ride away from the slopes.